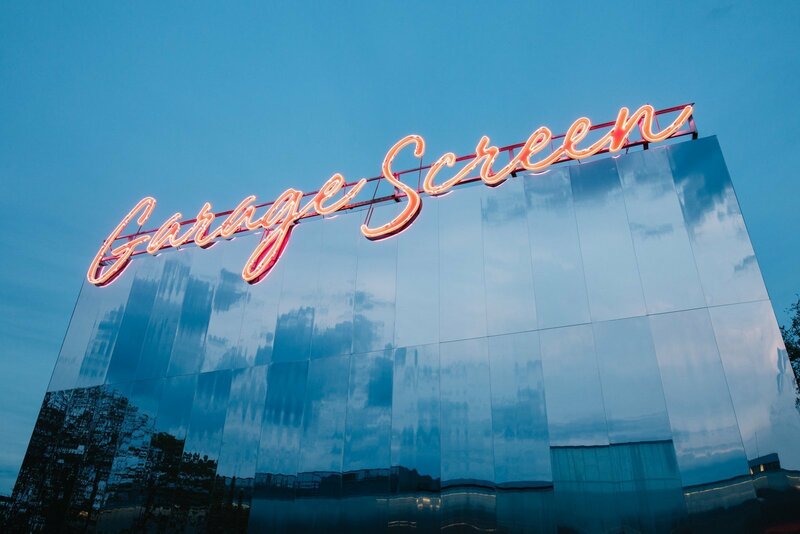 Garage Museum of Contemporary Art initiated an Open Competition for the Garage Screen Summer Cinema Pavilion Concept Design Development in October 2018 to create a design for the temporary summer pavilion of the Garage Screen cinema in which Russian architectural bureaus were invited to participate. The winner will have the opportunity to implement an important architectural venue on Arts Square in front of the Museum building, where the new season of film screenings of festival premieres, film classics, and avant-garde works by Russian and foreign directors will begin in the spring of 2019. The development of its own film program is an integral part of the Museum’s wide-ranging activities and is closely connected with all of its aspects, including exhibitions, educational and scientific events, the publishing program, and much more. The competition itself has been held to support the Russian architectural community. Applications for the competition organized by Strelka KB were accepted between October 17 and November 9, 2018. One hundred and thirty-one architects and architectural bureaus from all over Russia participated in the competition, from which six finalists were chosen. Archifellows—an architectural bureau from Moscow whose main specialization combines the design of public spaces, small architectural forms, and buildings. They were among the winners of the Open International Competition for Standard Housing and Residential Development Concept Design. Concrete Jungle—an architectural bureau from Vladivostok, which works at the intersection of fine art, design, and architecture. They work on improving the urban environment and creating public spaces, and carry out a range of activities: design, production, and construction and installation works. SA lab—an architectural laboratory from St. Petersburg that specializes in the use of algorithmic design methods. SA lab was among the top twelve best young architectural bureaus according to ARCH Moscow 2017. SYNDICATE—an architectural bureau from Moscow. Experience accumulated in the largest architectural companies in Russia and abroad helped the young architects to determine the following principles when creating projects: simplicity, the availability of materials, and the cost of operation. Reka (Река)—an architectural studio from Tyumen specializing in the design of small architectural forms, pavilions, and architectural facilities. Their projects have received prizes from architectural festivals. KHVOYA (ХВОЯ)—a small architectural design studio from St. Petersburg. The studio has designed and implemented public facilities and participated in numerous architectural competitions. Each of the finalists will receive a cash grant of 300,000 rubles to develop the architectural concept. The winner will be announced at the end of December and will have the opportunity to implement their project together with the Garage team in the spring of 2019. The competition’s selection committee included Anton Belov, Director of Garage; Varvara Melnikova, Director of the Strelka Institute for Media, Architecture and Design and Partner at Strelka KB; Ekaterina Inozemtseva, Senior Curator at Garage; Dmitry Teslenko, Deputy General Director of Overhaul and Restoration at Garage; Daria Paramonova, Strelka Architects CEO. Finalists will need to develop designs for the visual interaction of the future pavilion with the surroundings of the park and Museum. The technical brief stipulates that the designs should make putting on film screenings easy and convenient. An important condition is that the pavilion’s space should be inclusive and provide a comfortable environment for all of the cinema pavilion’s users, including people with limited mobility, the blind and visually impaired, and the deaf and hearing impaired.